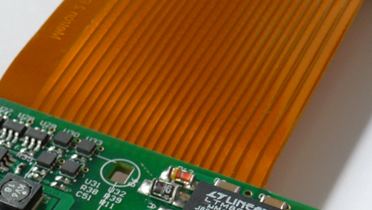 By using Flex rigid PCBs it is possible to bend the PCB and to get a good ground plane for the GSM and GPS antenna. Such PCBs can be useful for tracking of animals, banknotes or tracking of security officers. By tracking of animals the PCB can be mounted in the wrest band. Bundles of bank notes are a package of paper only. The security officer can get it mounted in the belt or in the jacket. 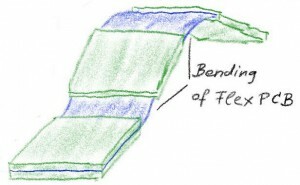 Flex rigid PCB. Thank you to Oliver Start of Powelectrics for support us with this picture. Everybody who is interested in further details and information is welcomed to send me an e-mail by using the form here or by e-mail to harald.naumann (at) gsm-modem.de . Tefkros, it can run in a bundle of cash notes as well. The dimensions are always smaller then the cash notes. The costs depends on the quantity you order, the features you want and the country for the approvels. What about the DFM for the above type of PCB. 2×2 meters? Yes it can. 2×2 mm it can not. What is the envisioned size (in mm) for the above concept? Just read my IoT M2M Cookbook. 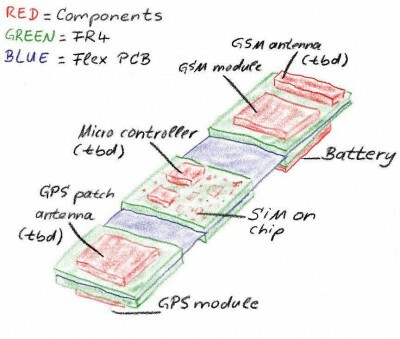 The size of the PCB is related to the cellular frequency band you plan to use. Hi Harald, if the quantity is over 1000 units, how much is the cost per unit? It will be estimated Euro 99 per device in single pieces and subscribtion to a server. Please be so kind and understand that I make no offers to people on Gmail email account.